Alison Moore, the Network’s Research Associate, caught us up on her recent trip to DC for the National Committee on Vital and Health Statistics workshop. 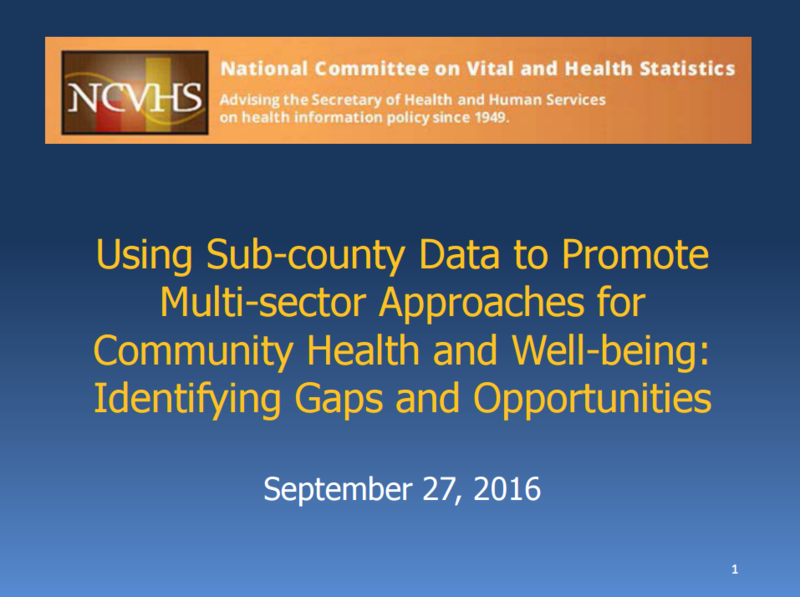 I attended the National Committee on Vital and Health Statistics workshop, “Using Sub-­county Data to Promote Multi­-sector Approaches for Community Health and Well­being: Identifying Gaps and Opportunities,” on September 27th in Washington, D.C. There was a diverse mix of federal agencies, community development, healthcare organizations, foundations– all organizations working on multi-sectoral partnerships. It was great to connect with Peter Eckart from DASH, and Elizabeth Sobel-Blum from the Federal Reserve of Dallas, among many others. Soma Stout from the Institute for Healthcare Improvement and Kevin Barnett of the Public Health Institute also shared some really interesting thoughts during panel discussions. What was the focus of the day’s discussions? The main goal of the workshop was to continue development of a measurement framework to help Health and Human Services, other federal agencies and private organizations identify and close gaps in data accessibility at the local, neighborhood level. This workshop was the third step of a the NCVHS’s larger roadmap, including: 1) an environmental scan of current health and well-being data used by communities; 2) the creation of a consensus-based “Community Health and Well-being Measurement Framework”; 3) a workshop to catalyze public-private efforts; 4) the development of recommendations to strengthen the Federal role in data collection and provision of tools for communities; and 5) a transition plan to collaboratively continue this work. The people who attended the workshop were all interested in data, measurement, and working toward a common language and framework that reflects the the range of initiatives happening across sectors. We all identified the need for cross-sector collaboration, increasing community capacity to collect and share data, and developing flexible indicators for multiple purposes. There were some really interesting examples of federal agencies working together with other organizations to really integrate health data in meaningful ways. For example, the 500 Cities Project, a partnership between RWJF and the CDC, will provide the first-of-its kind data analysis for the 500 largest American cities at the census tract level for various chronic disease measures. This is a hugely significant project and will vastly improve access to quality data at more local levels. The EPA, HUD, and DOT have also been collaborating as the Partnership for Sustainable Communities established six livability principles that will act as a foundation for interagency coordination. There was also a lot of discussion and recognition around the idea that, yes, data are important, but we need to have a clear vision of what to do with that data after we have it, and why we should be working together to measure health, equity, and availability of opportunity in the first place. People really resonated with the work that we are doing here at the Network to integrate data into storytelling and highlight projects from around the country that are actually working. Data can be an ocean we can get lost in if we don’t know where we are aiming to go. What else were people excited to talk about? As we talked about using data and having clear objectives for its usage, I loved this quote from Soma Stout: “Data can be an ocean we can get lost in if we don’t know where we are aiming to go.” We do need to be clear about the objectives for data collection. Are we collecting it to illuminate disparities? Are we using it to solve inequities? Or are we just bringing together the data for more utilitarian purposes? We need to be clearer upfront about why everyone has a stake, and what our shared goals are. There were some really great examples of data being used in a tactile and positive way. I thought the Agency for Toxic Substances and Disease Registry’s Social Vulnerability Index was a great mapping tool. I also learned about the National Association of Community Health Centers’ UDS Mapper, which allows you to examine community health and population indicators in relation to areas of federally qualified healthcare organization service. Finally, the data visualization and mapping that CommunityCommons.org is doing is particularly inspiring- it allows communities to create their own measurement initiatives to chart where they are and progress being made. These initiatives can then be shared with other organizations across the country. How is your team using #data to address inequities? 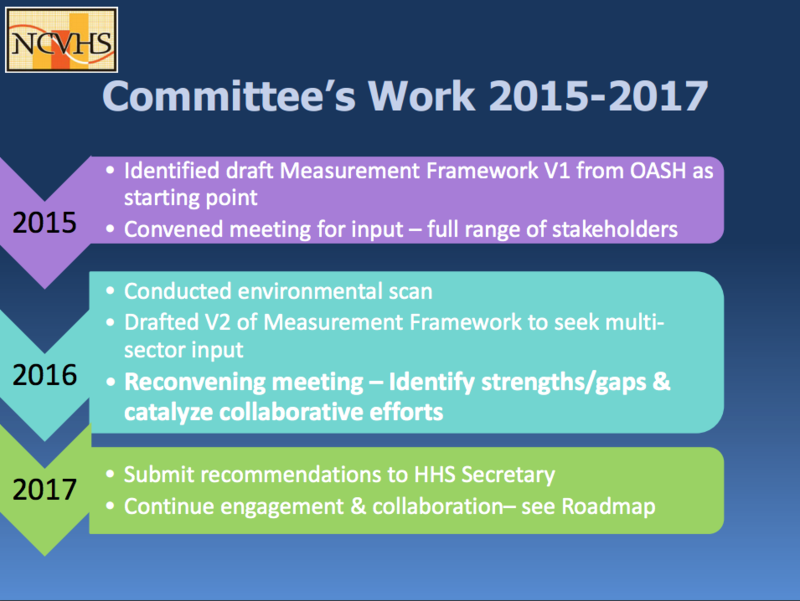 I was pleased to hear that people were thinking about upstream factors related to collaboration and measurement, and I want to integrate some of the ideas into one of the current projects we are working on, our Common Indicators Project. We need to continue to move in the direction of responding to the question of why we are collecting data and create a framework that everyone can see themselves as being a part of. I’m still left with a few questions: How can we best make the case for collaboration in measurement, especially across sectors that may not initially see health as part of their goal? What do “good” indicators look like, if we want them to address health, economy, and opportunity? How can we continue creating a collaborative space where data from healthcare, community development, and public health can be utilized? Workshops like this reveal the need for honest cross-sector communication upstream, as well as challenges downstream at the measurement outcomes end. The projects and tools that the Network provides can continue to accelerate our commonalities and create opportunities for better data collection and sharing to meaningfully affect change. 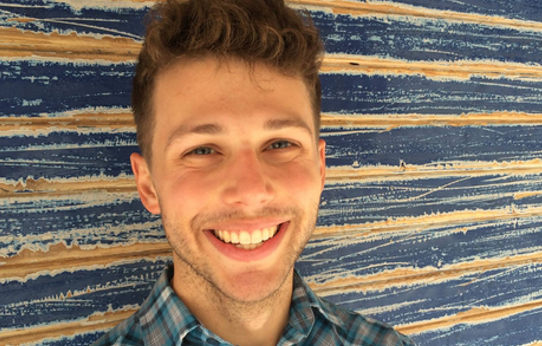 Jacob Kraybill is the Project and Communications Coordinator at the Network.